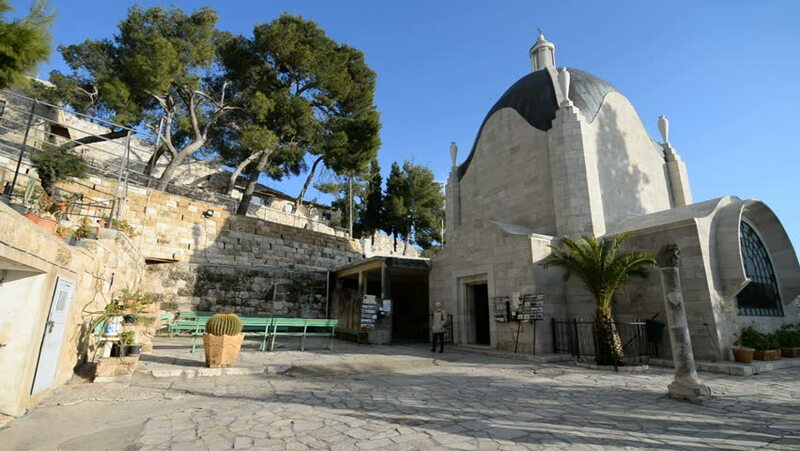 JERUSALEM, ISRAEL - 31th DECEMBER 2016: Exterior of the Dominus Flevit Church in Jerusalem, Israel. 4k00:19POMPEII, ITALY : May 13, 2016: 4k footage of Spectators visit historic Pompeii landmark and ancient city destroyed by Mount Vesuvius near Naples. Some sculptures by Igor Mitoraj have been installed. hd00:16JERUSALEM, ISRAEL - 28th DECEMBER 2016: Exterior of the Hurva in the Jerusalem, Israel. 4k00:10LONDON, ENGLAND- 29 June, 2017: Tower of London. A historical castle, fortress. hd00:17Old town Korcula, Island Korcula, Dalmatia - Croatia - spring 2016. 4k00:15The historic Santa Barbara Mission building with Spanish Catholic architecture and fountain reflecting and splashing water SLIDE RIGHT. 4k00:27ISTANBUL, TURKEY - 23 SEPT 2018: The majestic building of Hagia Sophia in Istanbul is the center of attraction for tourists. hd00:18JERUSALEM, ISRAEL - CIRCA OCT 2011: The Dome of the Rock sits in the center of the Temple Mount circa October 2011 in Jerusalem.